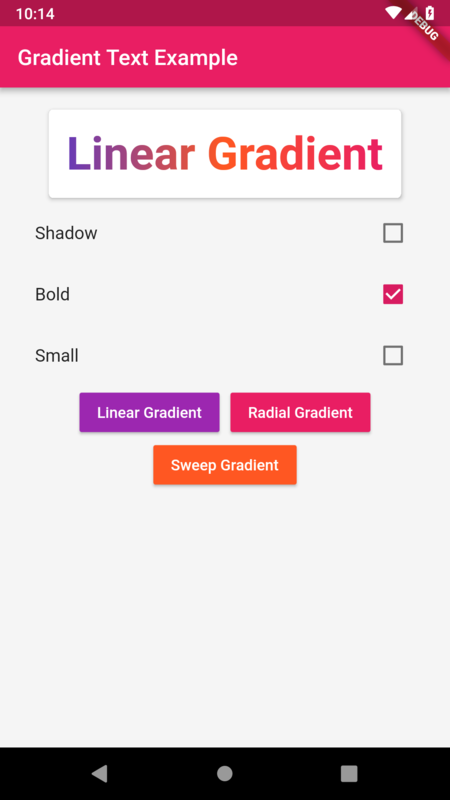 A Flutter Widget for displaying gradient text, text with a gradient drawn through it. style :: (optional) :: TextStyle to be used in the Text Widget. Color is ignored, as the text must be white to have the gradient drawn. textAlign :: (optional) :: TextAlign to be used in the Text Widget. Default is left. The idea to use ShaderMask came from Reddit user boformer. Thanks boformer.